Once again, the time has come for this year when scores of students living in San Diego California will make a crucial decision regarding their career. Most of them will certainly opt for a definite career and want to join the workforce for quick earning. So, they choose a specific job training in Vocational Schools. If young students are considering to enroll themselves in Vocational schools then it is very important to cross-check certain things which will be very helpful in future. The authenticity of a Vocational college: It is advisable that students must choose their certain Vocational College very carefully and before joining that college they must think sensibly if this will groom their career. There are many vocational colleges who declare that they are the best. Some even try to make fake promises to the students regarding job placements, prospective pay package of a certain trade and qualification of the faculty members who are teaching vocational courses. This lures the students and if the authenticity of the College is not checked properly many youths will face a great problem and their career will be at stake. Finally, checking the college’s accreditation also plays an important factor. Proper Enquiry: You must make inquiry from your own side and see if the College said whatever about their courses, placements, and salary potential is true or not. You can verify these facts by asking the ex-students who have passed out from this college. Moreover, you must also consider that the college or a particular course might not be genuine if there is a high rate of college dropouts especially if the dropouts are from a particular course. Moreover, check out reviews of colleges and courses online. 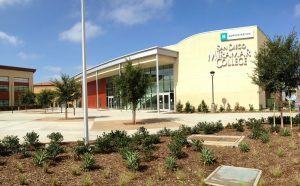 San Diego Miramar College is accredited by the Accrediting Commission for Community and Junior Colleges, Western Association of Schools and Colleges. This College offers 100% acceptance rate in case of admission. The classes conducted by this College is for 6 days in a week. The average cost of studying here is $6,850/ year. Moreover, around 60 % financial aid is also provided to the students. Popular courses offered here are Automotive Mechanics, Business Administration and Management, Aircraft Maintenance, Diesel Mechanics, Fire Prevention and Safety Technology, etc. According to the feedback of past students the faculty members communicate with the students 100% to make sure if the subject matter is clearly understood by them or not. The student-teacher ratio is 31:1. Students can apply online to take admission in this Vocational College. It is advised to go to the website: https://applyonline.communitycollege.net/studentappview.cfm and directly apply online. For more information about this college, you may personally visit the campus at 10440 Black Mountain Rd, San Diego, CA 92126, USA. You may also visit the college’s official website: https://www.sdmiramar.edu/ or simply call at (619) 388-7800. Bridge Career Education has got its proud accreditation by Accrediting Council for Continuing Education and Training (ACCET) since 1998. Moreover, ACCET has been recognized by U.S. Department of Education. This accreditation detects the authenticity of this educational institute. Moreover, this certain Vocational College has been affiliated with University of Northern Colorado and Texas A&M University, Texarkana (TAMUT). Even passed out students highly recommend this institute. 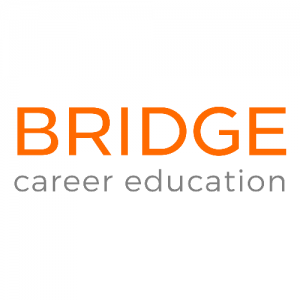 The courses offered by Bridge Career Education includes certain fees and other costs. The registration fee is $100, tuition fee for programs like Medical Assistant and Pharmacy Technician is $2,395 which includes charges for uniforms, access to licensed computer software, books, and laboratory supplies. Meanwhile, the charges for Nursing Assistant program is $1,395 which includes registration fee, Livescan Fingerprint fee, CNA State Exam Testing fee, Comprehensive Review Classes for CNA State Exam, BLS /CPR Course, Training equipment and all relevant CNA Reference books, handouts, and worksheets. The classes are conducted 5 days a week. The faculty members and placement records are quite excellent. Students seeking to get admitted here for healthcare courses must possess a General Education Development (GED) certificate, be a high school graduate or have proof of home study certificate. Interested students can apply at https://www.bridgecareereducation.com/how-to-apply or contact directly at (619) 432-3711 or 619) 693-5857. You may also visit at 1333 Camino del Rio South, Suite 107, San Diego, CA 92108. Associated Technical College was established in 1984 and is accredited by the Accrediting Commission of Career Schools and Colleges (ACCSC) and it also has the permit to operate in the State of California by the Bureau of Private Postsecondary Education (BPPE). This Vocational is unique since it is specialized to give training in 2 study programs which have the maximum market demand. This includes Telecommunications Technology Program and Micro-computer Technology Program. Micro-computer Technology graduates may land in various job prospects like Office Automation, Desktop publishing, Computer Support Assistant, Executive Assistant, Computer Operator, Business Office Personnel, and Data Entry Specialist. Telecommunications Technology graduates may get jobs like field or service technician with electronic or computer companies, as a cable installer, a fiber optics splicer, and terminator, in security and surveillance, even as the owner of your own telephone installation and Repair Company. The classes are taken 5 days a week. Each course consists of 2 semesters and each semester consists of 15 weeks duration. The total course fee including the registration fee is $ 17,000. Every year many students are getting placement in various companies and it has an excellent placement record. 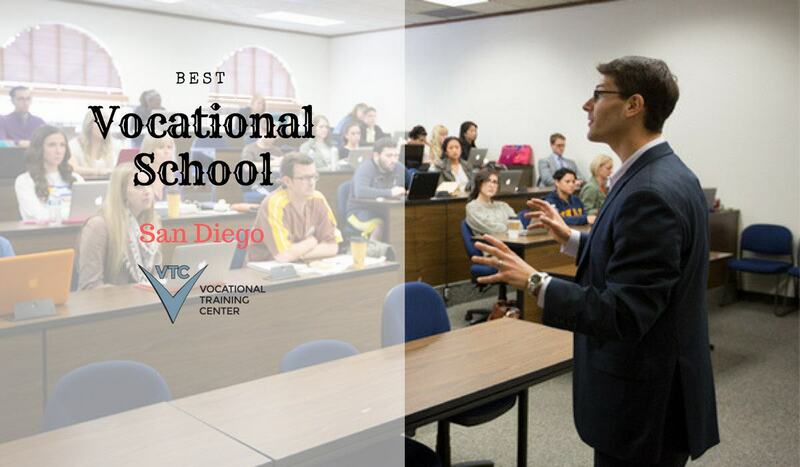 Students seeking admission here can directly apply at https://atcsd.edu/ or call at (619) 234-2181. They may also visit at the San Diego campus in 707 Broadway Street, Suite 300 San Diego CA 92101. Finally, you must act accordingly to find the right college and take up the right courses where you can prove your skills. Go for the best college, study the right courses and make your future brighter by taking up the suitable job.